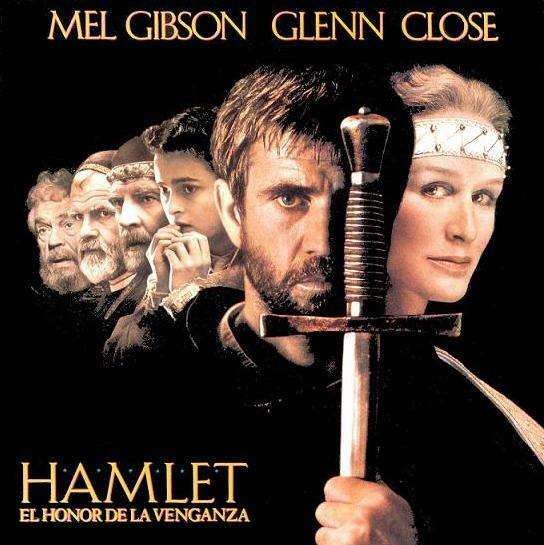 Hamlet: Does he or doesn’t he? Shakespeare purists hate modern adaptations of his plays. I tend to fall into this camp. One of my major pet peeves is the liberal use of scene shifting directors seem to believe is their right. Worse yet is when they cut scenes out all together! Gregory Doran who directed David Tennant in 2009 did both badly, and I have yet to forgive him for it. As did Olivier in 1949. He took a 4-hour play and condensed it down to 2, cutting all mention of Rosencrantz and Guildenstern. There is a good argument against adaptation. The one that springs to mind is how we modern audiences have come to believe Hamlet may have been more than a little jealous of his stepfather. Thanks to Freud’s view that every son secretly wants to bed his mother, almost every director since Olivier has made Hamlet the Oedipal son. In the bedroom/sitting room scene between Hamlet and his mother he says to her, “Come, sit you down; you shall not budge”. He never drags her to her bed and rages at her as he straddles her. Yet this is how we usually see it played out. If you watch the Zeffrelli adaptation like I did (again) last night, be prepared to feel very uncomfortable as Mel Gibson dry humps Glenn Close while he rages. Seriously, I almost stopped the film to take a shower, it felt that dirty. Yet as much as we purists want to see Shakespeare as he intended it, we have to admit there may be much we can learn about the plays if we let go of our outrage and simply watch what is being presented to us. Often an actor’s interpretation of the character he or she is playing can cause us to reexamine our own interpretation and lead us to look at the plays in new and exciting ways. Is Hamlet so depressed “he cannot make up his mind to act” as Olivier is so often quoted as saying. Or does he hesitate in killing Claudius because he is not sure the ghost is his father’s spirit as Tennant wondered? Both views seem right and since we do not have Shakespeare’s notes, we will never know, but it is fun watching the different takes on the prince and why it is he comes to such a tragic end. If he could have acted instead of reacted things may have turned out differently. But interpretation is not the same as adaptation and as I mention before, adaptation changes the original theme of Shakespeare’s plays. Yet as I watched the Zeffrelli film last night an idea came to me. An answer to an question still debated among Shakespeare scholars; “Does Hamlet love Ophelia or not?” There are many examples of his love for her; his letter to her stolen by Polonius, that I think is the most romantic piece of literature, “Doubt thou the stars are fire. Doubt that the sun doth move, doubt truth to be a liar; but never doubt I love”. His moving speech at her graveside, “I loved Ophelia. Forty thousand brothers could not with all their quantity of love make up my sum”. Yet there are also the fact that he mocks her maidenhood in front of an audience and the famous “get thy to a nunnery” speech in which he tells her he never loved her and accuses her of “wantonness and ignorance”. So does he or doesn’t he love Ophelia? From my many courses and readings of Shakespeare I have learned two things; Shakespeare never lies. He never has the audience believe one thing only to have the opposite be true. Oh sure, characters lie to each other, but never to the audience. We know who Rosalind is even as she disguises herself, just as we know Iago is not to be trusted even as the other characters call him “honest”. The other thing I have learned is that each sentence is a thought and together these thoughts make up ideas. Shakespeare was the master of one-line thoughts. If we have questions about what is going on in his plays we need to look at each of his sentences to find our answers. So all of this brings me to an epiphany of sorts; one that came to me as I watched Zeffrelli’s adaptation. He broke the famous nunnery speech in two. The second part went like this, “What should such fellows as I do crawling between earth and heaven? We are arrant knaves all: believe none of us. Go thy ways to a nunnery. Where is your father”? As Gibson uttered these lines he paused and said softly “believe none of us” and looked at Ophelia with longing and regret. It hit me; this line that so many actors spit out in anger is a separate thought. He is asking her at that very moment not to believe a word he is saying. He does love her and everything he is saying right then is not to be trusted. Unfortunately for Ophelia she does not get his meaning and apparently neither do Shakespearean scholars for nowhere in their arguments can I find any hint that this line stands out. So maybe I am wrong, but I don’t think so. I read the speech again today and cannot find any other reason Hamlet would include this in his hurtful speech. We have to remember Hamlet is aware that Polonius is listening. Hamlet’s back is to the wall. He has to act mad, but not mad with love as to keep the King guessing as to what is going on with him. He must abuse poor Ophelia, but in his abuse is a coded message. A message that, at least for me, answers the question; yes, Hamlet does love Ophelia. The letter came from his heart, as did the graveside speech. Tell me what you think. Am I on to something here? I ‘d also love to hear about your favorite Shakespeare film. Perhaps there is more to learn from adaptations. I haven’t really given much thought to Hamlet for nearly 50 years. Now, it seems to me, to give a well-considered answer to your question I’d have to not only re-read the standard modern text but also the three different versions found in the First and Second Quartos and in the First Folio. But there is certainly something appealing in your insight. I had not taken the time to read this article. Thanks for the reminder. It does give us pause, but if I remember right, one argument says there are various versions of the play because when traveling the Kings Men put on shorter plays. I have not read the different versions, I’d love to, and should take the time to find them. I saw a special on Hamlet that addressed the issue and how the plays vary and what the changes mean to the plot. Wow, we could really go down a rabbit hole, and we are just talking about one of 52 plays. Another argument is that the first printing of Hamlet was a ‘bad’ quarto, probably based on actors’ recollections of the play rather than a handwritten rehearsal copy. They would remember their own words well but had to reconstruct other speeches from faulty memory, leading to mistakes and garbled passages. Fun fact, today in 1602 the first copy of the play was printed. Now that you have brought this to my attention I really want to look into it. I am going to ask my go-to expert Joseph Rosenblum, to help me figure out if we are reading Shakespeare or an heavy handed editor.